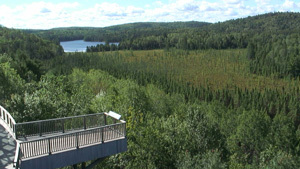 Watch Algonquin Park during any season, or even if you can't visit. 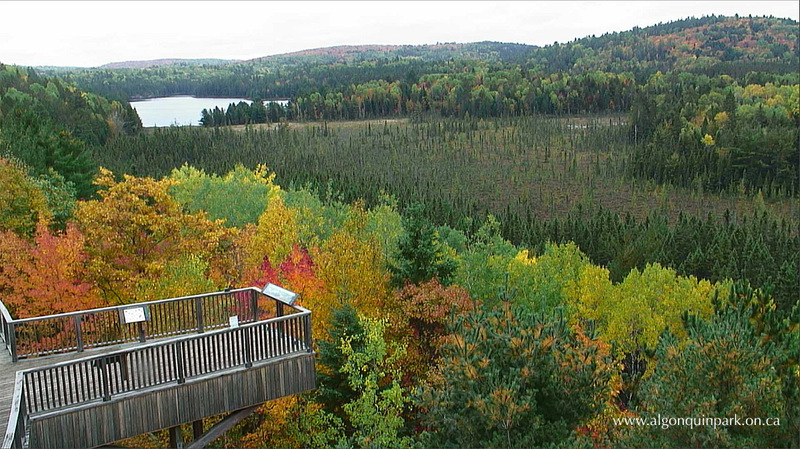 Choose from either live streaming video, panorama, or archived images of the view from the Algonquin Park Visitor Centre courtesy of The Friends of Algonquin Park in partnership with EarthCam and sponsored by Couples Resort. You can also purchase the EarthCam App for iOS (iPhone and iPad) or Android platforms to watch the Algonquin Park Webcam from your mobile device or tablet. Algonquin Park covers 7,630 square kilometres (~1.9 million acres) in Ontario, Canada. 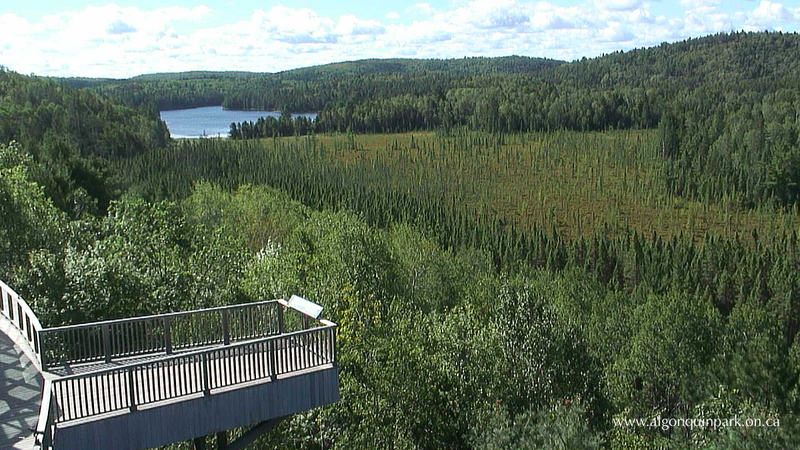 You are watching a live view from the Algonquin Park Visitor Centre, built in 1993 to celebrate the Park's 100th anniversary and the founding of the entire provincial park system. The Visitor Centre features exhibits on the Park's natural and human history, a theatre, a relaxing restaurant, and an excellent bookstore.